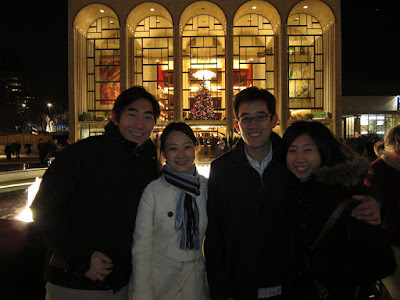 This weekend Christopher and I joined friends Robin and Karin to go on a fun, holiday-themed double date to view The Nutcracker at Lincoln Center in New York. 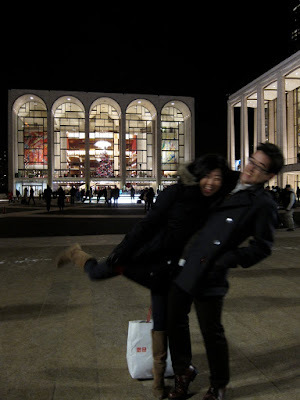 I had not yet been to Lincoln Center, so I was super excited. What a beautiful space! I really enjoyed it, and the ballet was truly lovely. Highlights were the snowflakes, the talented child dancers, and the female soloists who shocked and astonished us with their talent and beauty. 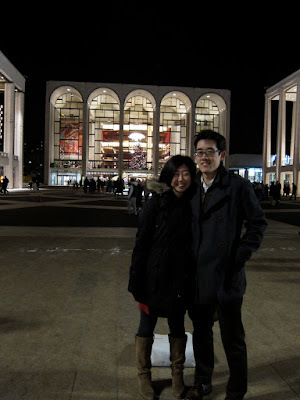 I also had the chance to see the New York City ballet perform at the Kennedy Center earlier this week. The ballet never fails to inspire me. i really really want to come hang with chris and jeannie!